Will Climbing Vines Damage a Wood Fence? | Pacific Fence & Wire Co.
Will Climbing Vines Damage a Wood Fence? Flowering vines cascading over a wood fence have a rustic charm. However, if you want your fence to last, allowing vines to grow on wood structures isn’t a good idea. Some climbing vines have claws that cling and work into the boards. Other plants wrap, twine or sprawl over a fence. Whatever method a vine uses to attach itself to your fence, it will create a humid environment that promotes mildew and rot. Keep vines off the wood boards, and you’ll extend the time between fence repairs. You can grow vines and protect a fence by investing in a sturdy trellis or arbor. These structures can be wood, vinyl or metal. They can be simple, but to be effective they need to be strong. The sturdiest type of trellis or arbor will have fence-like posts to support a framework of bars. 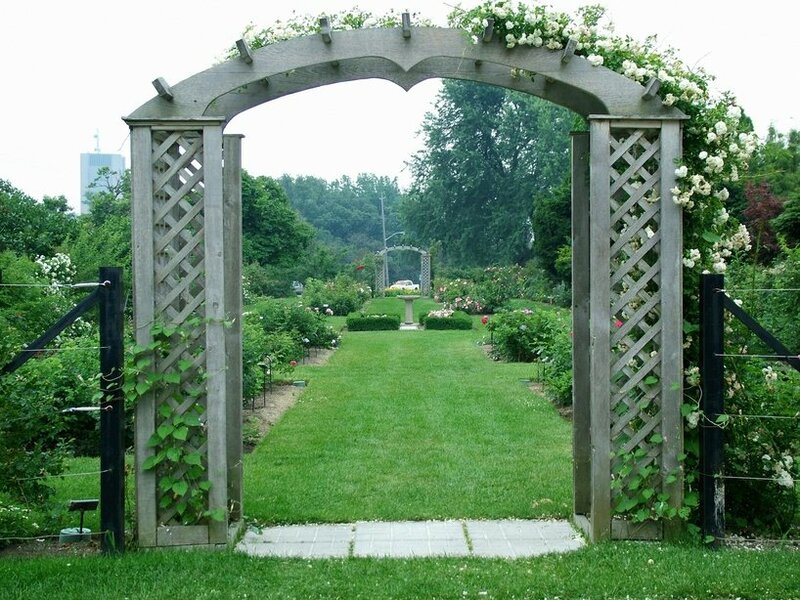 Trellises come in a variety of sizes and designs. Metal structures tend to be more sturdy than wood. If you choose a flimsy trellis, it may not be able to support the weight of a vigorous plant. Place a trellis or arbor a few feet away from a fence. Vines can be prolific growers and may make their way to a fence that is too near a trellis. Plantings at the base of a wood fence can litter the fence and posts with organic matter. Wood fences need to be protected from moisture. Point sprinklers away from a fence. Even cedar, which is resistant to rot, lasts longer when it’s cleaned and sealed annually and kept clear of plants year-round. Some vines are more damaging than others. Ask at your local nursery for plants that do well in Washington and Oregon. Climbing vines such as English ivy and Wisteria can be invasive. Choose carefully before you plant a vine because some can take over a garden. Clematis and climbing roses are good choices and are less likely get out of control. If you love the look of a flowering vine, there’s no need to pass on its beauty. 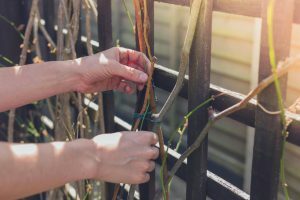 With some planning and forethought, you can grow these climbers without fear of damaging your wood fence. Has your fence been damaged by vines, mildew or rot? Pacific Fence & Wire can help you repair or replace a fence in disrepair. Contact us today for more information about our services.